Tuesday night, President Trump announced "the winner" of his nomination choice to the United States Supreme Court as Neil Gorsuch of the 10th Circuit Court of Appeals in Colorado. 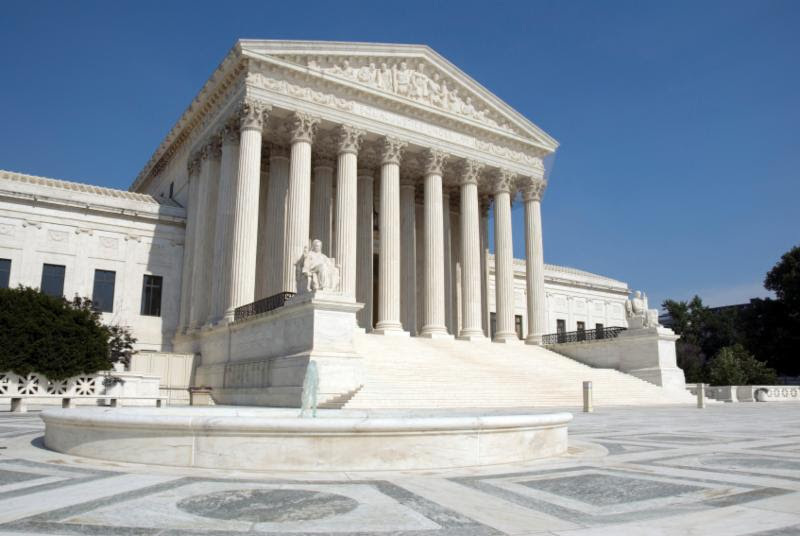 The Court has been absent one seat since the death of Judge Antonin Scalia on February 13, 2015. Gorsuch, 49, is the youngest Supreme Court nominee since Clarence Thomas was nominated in 1991 at the age of 43. Although President Obama had nominated Chief Judge of the DC Court of Appeals, Merrick Garland, Senate leadership refused to schedule a hearing on Garland's nomination while Obama was still in office. While the nomination of Gorsuch has been heralded as a home run by Republicans, it is certain to meet with resistance from Democrats, still angered by the GOP obstruction of Garland's nomination. House Minority Leader Nancy Pelosi has called Trump's pick "a hostile nomination." 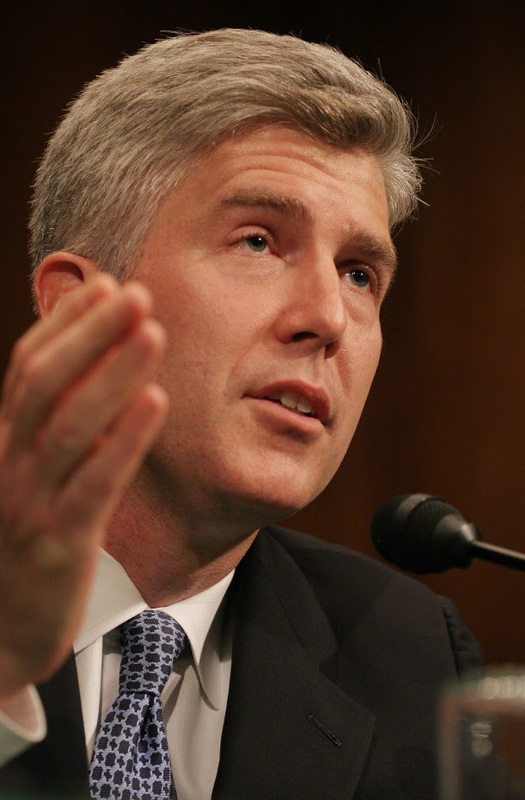 Gorsuch is known for his commitment to religious liberty -- having sided with corporations on the famous Burwell vs. Hobby Lobby case, which argued against Obamacare contraceptive mandates. His legal judgement is often compared to the late Justice Scalia, a positive for those seeking a reliable conservative voice on the court. Considered an "originalist", he interprets the Constitution's language as what it was understood to mean when originally written. While Gorsuch's views on abortion have not been published, his written opinions about assisted suicide and euthanasia state categorically that "human life is fundamentally and inherently valuable, and that the intentional taking of human life by private persons is always wrong." The United States Senate, which confirms nominations to the supreme court, is expected to start Gorsuch's confirmation hearings within the next six weeks. Approval will require 60, or 3/5 majority vote, by the Senate. Trump, however, has already advised Senate Majority Leader Mitch McConnell to trigger the "nuclear option" if Democrats choose to obstruct the confirmation process with a filibuster. This action would change the vote count needed to confirm the nominee from 60 votes to 51. 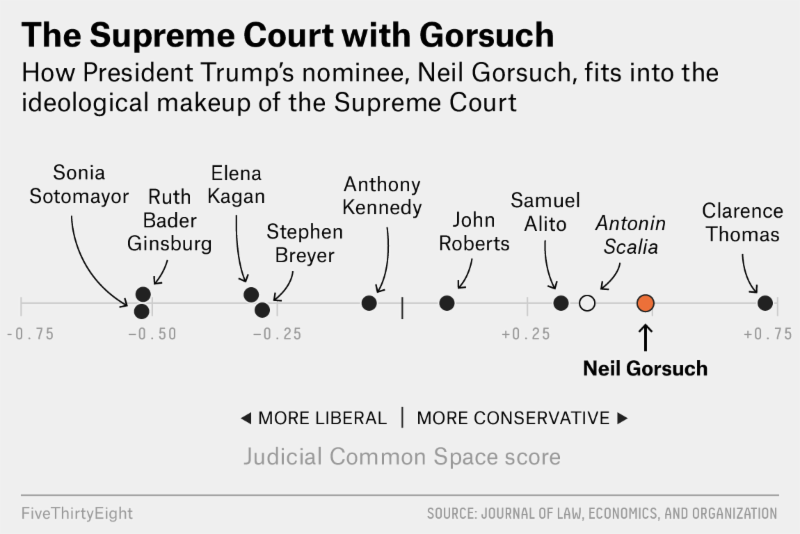 Although Gorsuch clerked for Supreme Court Justice Anthony Kennedy, he is considered far to the right of the moderate's ideology. DemList will keep you informed! Submit your state and national event, protests and actions to the DemList Calendar & Help DemList with a Contribution Today! DemDaily: The First Victory? Update on the Governors! DemDaily: What is Medicare and Medicaid?